A land where new and old coexist. During the summer of 2014, I traveled for two weeks with the Columbus State University Art Department to study art in Japan. We stayed in Kiryu the first week, the sister city of Columbus, GA, located in the mountains of Japan. In Kiryu, we learned how to do traditional Sumi ink painting on washi paper, known as Suibokuga. The beauty of this art form is that each brush stroke is expressive and must flow in the painting. We also visited a Washi paper craftsman who lived and worked in the mountains making paper from plant root fiber and bark. Our second week was spent touring both modern and historical museums in Kyoto and Tokyo. We visited the Golden Temple, explored Kyoto via bike, saw Ryoanji Temple’s famous rock garden and crossed Shibuya crossing. Through these experiences, we were making drawings and paintings reflecting on what we saw. For my final project I chose to do an ink rendition on a scroll of two Koi fish, comprised of symbols and images that made up both old and modern Japan. This theme came from an adventure I had while I was still in Kiryu. With the rising sun, a fellow student and I had decided to go on a hike to Tenamngu Shrine at the base of the tallest mountain in Kiryu. We needed to be back from our hike before breakfast was to be served in the Toseikan Inn, so we got ready quickly, tiptoeing on our tatami mats to avoid waking up our roommates. As we changed from our slippers to our walking shoes, the keeper of the inn who was sweeping the hall gave us a cheerful “Ohayō” which is good morning in Japanese. We set off onto the street, and we were greeted by the shopkeepers who were opening their stores for the day. Their shops were filled with fresh produce, Sumi ink, ceramic wares, boutiques, computer parts and convenience stores with all sorts of snacks like rice balls and melon-pan bread. Residents were up watering and tending to their perfectly manicured gardens. It might be a true statement that every house had if not a garden at least a few potted plants. There is a strong connection to nature felt in Japan. A walk through Kiryu shows the balance between what is old and the new that has grown around it. 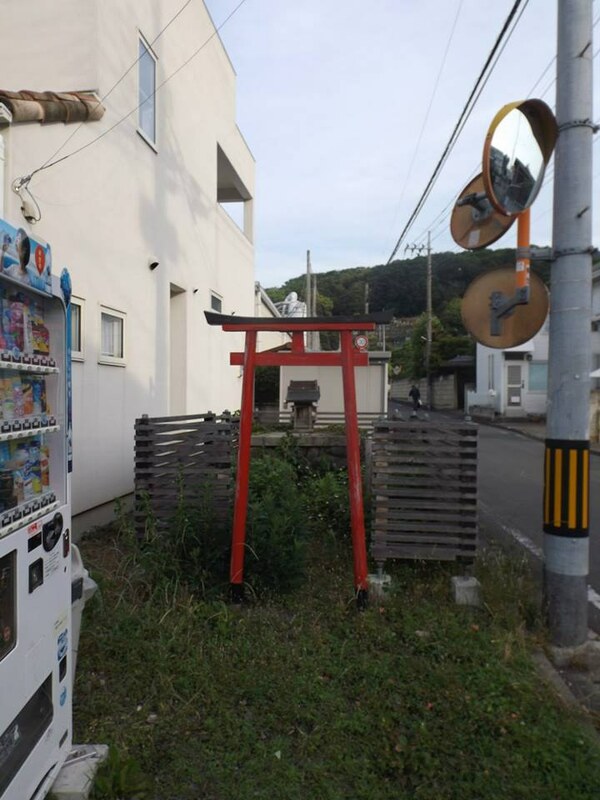 An example would be the small Shrines sometimes juxtaposed directly with vending machines. As we got closer to Tenamngu, the architecture began to shift from concrete square businesses to more traditional Japanese homes with tile roofing. As we rounded a bend in the road, we saw the massive stone gate marking the entrance to the shrine. When we passed through this massive structure, a perceptible shift could be felt in the atmosphere. 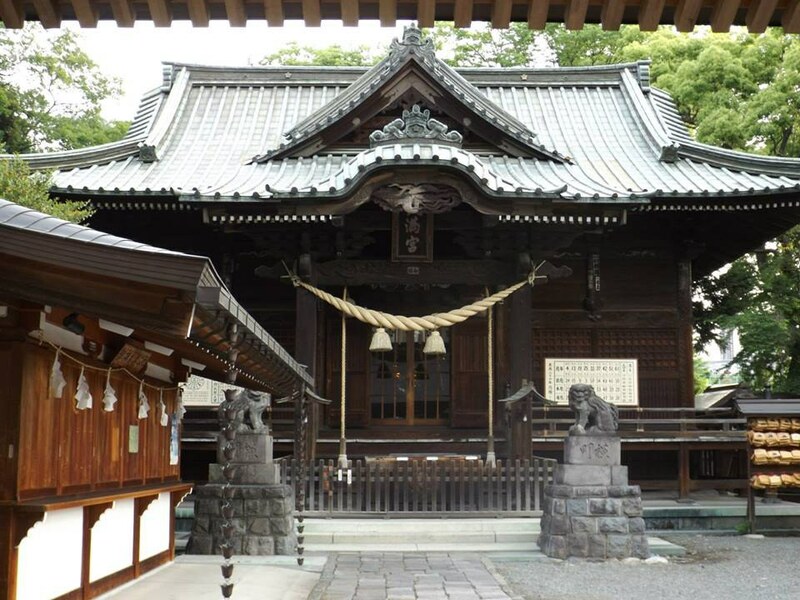 We had left the hustle of the city for the calm tranquility of the shrine. We were not the only ones there. An older man practiced Tai Chi under a thatched roof, and an old woman swept the dirt paths with a twig broom. We cleansed our hands in the well and approached the ancient structure. The building had a presence rising from the stone on which it was built. Intricate wooden carvings decorated the surfaces, which imbued the building with movement and grace. The perfectly balanced architecture was a work of art, but it was something more for the Japanese people. The shrine existed as a place of worship, a cultural center, an escape from the city, as well as a connection to the past. Though we might have been strangers there, we could not help but feel the peace and tranquility the area possessed. Even in modern Japan, this sort of ancient connection could be found because it was not only preserved, but continuing on in its function as shrine for the people who lived there. We set off back to the Toseikan, wishing we had enough time to remain a little longer. This is similar to the feeling we had when we left Japan, but we left with more than we came. We now have an understanding and appreciation for the land of Japan and the people who call it home. The most important realization was the way the past and the present can coexist so perfectly.